Dromiciops gliroides is an arboreal marsupial found in the temperate forests of South America (36–43 °S). This species is the sole extant representative of the order Microbiotheria, and is a key seed disperser of many native plant species, including the keystone mistletoe Tristerix corymbosus. Here, we synthesized the current knowledge on the ecological aspects of this species, and compared the available information from Argentina and Chile. Population density (23 ± 2 (mean ± SE) individual/ha) and home range (1.6 ± 0.6 ha) appear to be relatively similar across a marked ecological gradient in the mainland, but lower densities (7 ± 2 individual/ha) and smaller home ranges (0.26 ± 0.04 ha) were detected at island sites. We detected regional variation in body condition in Chile, but there were no significant differences across a wider E-W gradient. Movement patterns fit a random walk model; such behavior might have important consequences in shaping plant’s spatial patterns. 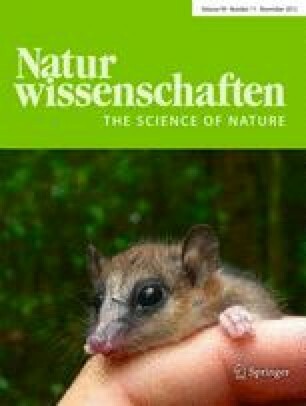 Although our data suggest that D. gliroides is more tolerant to habitat disturbance than previously thought, its incapability to disperse across non-forested areas suggests that the rapid rate of habitat loss and fragmentation that characterizes southern temperate forests likely poses a serious threat to this species. These ecological similarities are surprising given that forests studied receive dramatically different rainfall and correspond to distinct forest types. The evidence synthetized here dispels some of the myths about this species but also stresses the need for more comprehensive ecological studies across its distribution range. The online version of this article (doi: 10.1007/s00114-012-0969-2) contains supplementary material, which is available to authorized users. We are grateful to D.A. Kelt, J.E. Jiménez, and three anonymous reviewers for their comments on early versions of this manuscript. Parque Municipal Llao Llao and N. Cárdenas provided valuable field support and assistance. K. Stuble helped with the text’s language. FEF has been supported by grants of the People’s Trust for Endangered Species, Rufford Small Grants, the American Society of Mammalogists, the Cleveland Metroparks Zoo and the Cleveland Zoological Society, and a doctoral fellowship of the Chilean Commission of Scientific and Technologic Research (CONICYT). LMF was supported by FONDECYT Postdoctoral Grant number 3100144. GCA was supported by CONICET and Fondo Para la Investigación Científica y Tecnológica (FONCyT, PICT-2242).